I am trying to make select options with webform submission. What module do I need? and How can I make this select options with that module? 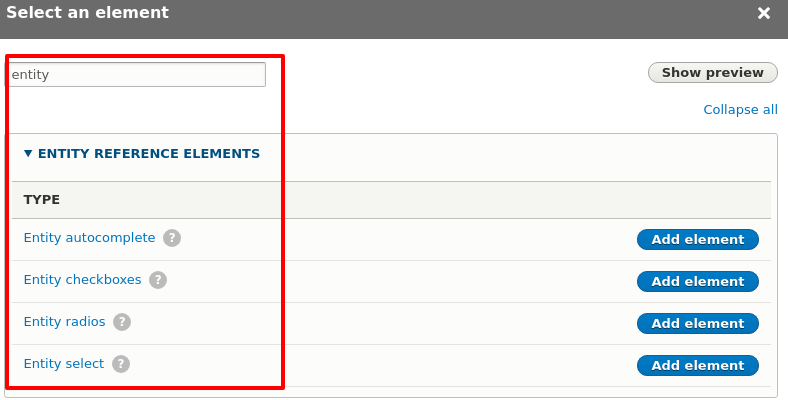 I believe what used to be webform_views_select module is part of Webform core for Drupal 8. NOTE2: Perhaps a work around would be to use content or taxonomy term instead of a view (since view reference is not working) if you don't have great need for views filtering capabilities. The Webform module will do this out of the box. Install webform module the usual way. Install the webform_ui module too. It helps a lot in creating new forms. 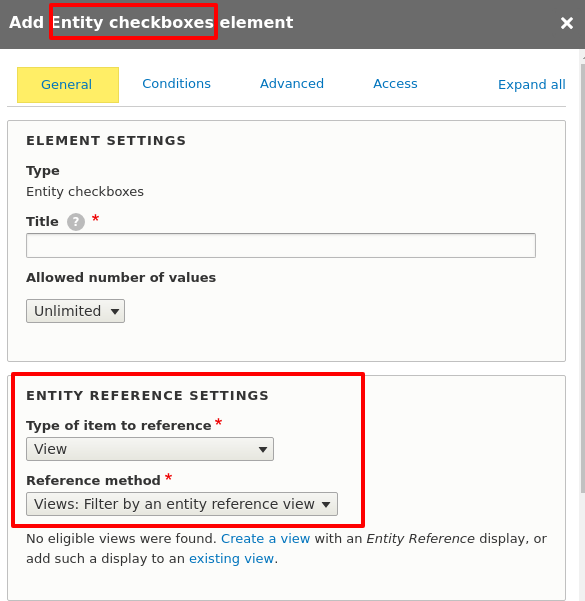 Add Element "select" (to find in the list at "options elements"). As an alternative you can write your webform-definition in yaml-format. Webform module is complex, but can fullfill many needs. There are some helpful videos using webform module. Not the answer you're looking for? Browse other questions tagged views 8 webforms or ask your own question.